Coiled Tubing (CT) is one of the fastest growing segments of the well servicing industry. CT offers many economical advantages over conventional work-over techniques. 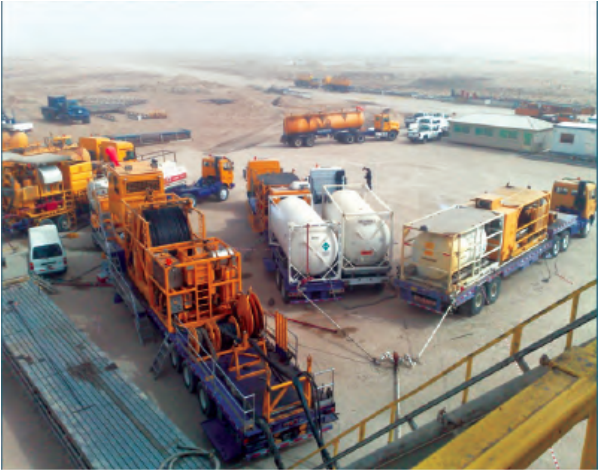 CT services are commonly required for circulating fluids to a specific depth within the wellbore. or circulating nitrogen to clean out the wellbore. More advanced CT applications include Drilling, Milling, Fishing, Perforating, and Logging horizontal wells. ​NAPESCO offers modern CT units that are staffed by experienced field personnel who are supported by knowledgeable operations management and engineering staff. From initial job design using industry leading job design software to job execution and post job analysis, NAPESCO has the people, equipment and skills to utilize this unique technology. 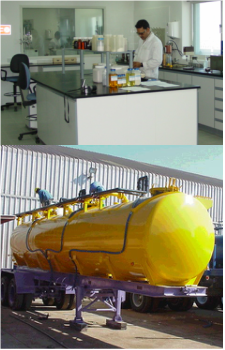 NAPESCO offers modern Nitrogen Pumping Units that are self-contained and highly mobile. These units utilize a cyogenic triplex pump and associated piping with a non-fired vaporizer system. Liquid nitrogen is fed into the triplex pump and upon displacement is converted from a liquid to a gas using recovered waste energy from the power unit and hydraulic system.